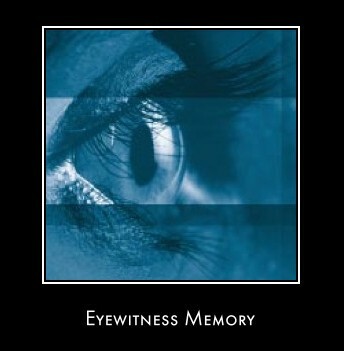 The study of eyewitness memory was one of the first topics to being scrutinized when forensic psychology began to establish towards the end of the 19th Century. As mentioned on the history of forensic psychology page, the first recorded example of a psychologist acting as an expert witness in a court of law was in 1896 when Albert Von Schrenk-Notzing testified at the trial of a man accused of murdering three women. Drawing on research into memory and suggestibility he argued that pre-trial publicity meant that witnesses could not distinguish between what they actually saw and what had been reported in the press. The formal study of eyewitness memory is usually undertaken within the broader category of cognitive processes. Cognitive processes refer to all the different ways in which we make sense of the world around us. We do this by employing the mental skills at our disposal such as thinking, perception, memory, awareness, reasoning and judgment. Although cognitive processes can only be inferred and cannot be seen directly, they all have very important practical implications within a legal context. If you accept that the way we think, perceive, reason and judge is not always perfect then it’s easy to understand why cognitive processes and the factors influencing these processes are studied by psychologists in matters of law; not least because of the grave implications that this imperfection can have within the criminal justice system. Take the duration of the event being witnessed for instance. In a very simple experiment conducted by Clifford and Richards (1977), an individual is instructed to approach a number of police officers. They are told to engage in conversation for either 15 or 30 seconds. Thirty seconds after the conversation ends, the experimenter asks the police officer to recall details of the person they’ve just been speaking to using a 10-item checklist. The checklist contains items relating to the persons appearance such as hair color, facial hair etc. The results of the study showed that in the longer 30 second condition, police were significantly more accurate in their recall. This stage is concerned with the period of retention between perception i.e., seeing an incident and the subsequent recollection of that incident. Unsurprisingly, research has consistently found that the longer the gap between witnessing an incident and recalling the incident, the less accurate the recollection of that incident becomes. There have been numerous experiments, usually related to a staged event, that support this contention. Malpass and Devine (1981), for instance, compared the accuracy of witness identifications after 3 days (short retention period) and 5 months (long retention period). The study found no false identifications after 3 days but after 5 months, 35% of identifications were false. One of the most notable researchers in this field is Elizabeth Loftus who has been investigating eyewitness testimony for over thirty years. In one of her classic studies, participants witnessed a film of a car accident and were asked to estimate the speed of the cars involved. One group of witnesses were asked to estimate the speed of the cars when they "contacted" each other. A second group of witnesses were asked to estimate the speed of the cars when they "smashed" each other. On average the first "contacted" group gave an estimate of 31.8 miles per hour. Whereas, the average speed in the second "smashed" group was 40.8 miles per hour. In many discussions of eyewitness memory, you'll notice that the terms, experiment, participants and staged event keep cropping up. This is because a great deal of research into eyewitness memory has been conducted within psychology laboratories; and this raises the very important issue of whether it is possible to generalize the findings obtained under these artificial conditions to real life cases. The simple, if unsatisfactory answer is that it is difficult to say. Take for instance the work of Yuille and Cutshall, these researchers conducted a case study with witnesses to a real shooting incident, interviewing them just after the event and again 5 months later. They concluded that the performance and accuracy of the witnesses differed in several respects to what would be expected according to the experimental literature. As pertinent today as when it was first published more than a decade ago, this engaging and highly praised study makes the psychological case against the reliability of the eyewitness. By shedding light on the many factors that can intervene and create inaccurate testimony, Elizabeth Loftus illustrates how memory can be radically altered by the way an eyewitness is questioned, and how new memories can be implanted and old ones altered in subtle ways. She thus calls into question today's widely held assumption of eyewitness authority over the details of a crime or other events. 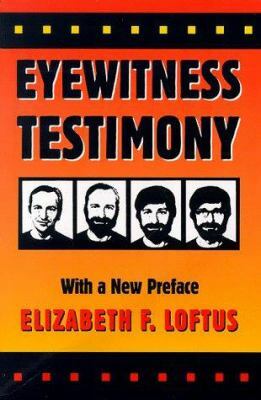 Eyewitness Testimony provides a sobering counterpoint to today's theatrical reliance on eyewitness accounts in the media, and should be required reading for trial lawyers, psychologists, jurors, and anyone who considers the chilling prospect of confronting an eyewitness accusation in a court of law. See following link for full details.